Although only 90 miles separate the United States from Cuba, for decades it has remained off-limits for most Americans. Travel provider, Abercrombie & Kent is bridging the gap with Cuba: People to People, a 10-day program filled with meaningful interactions and people-to-people connections which reveal the spirit of this fascinating, culturally-rich island. Limited to just 24 guests in a program that enables Americans to discover Cuba through a combination of authentic personal encounters designed to transform their understanding of the people of this enigmatic country, Abercrombie & Kent USA has been granted a license by the U.S. Department of the Treasury Office of Foreign Assets Control to offer people-to-people educational exchange programs to Cuba. Are you looking for a meaningful travel experience that offers the opportunity to make a real difference in the world? 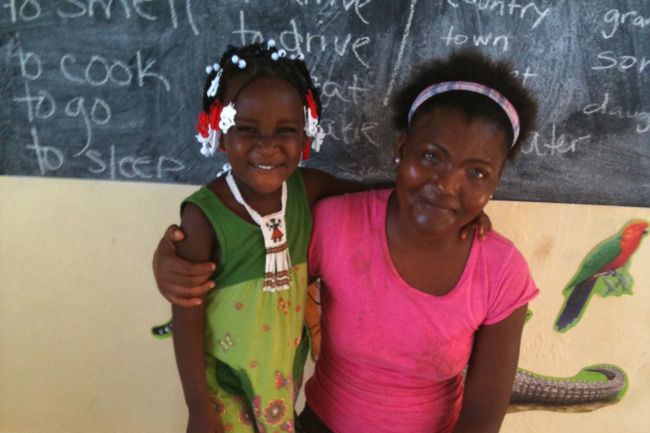 Volunteer trips can create lasting impact and greatly enrich the lives of those involved. To be absolutely honest though, I’m not an across-the-board supporter of voluntourism. In my most cynical moments, I imagine the heartache of orphans repeatedly left behind by well meaning visitors, jobs performed by vacationers that might have been a day’s wages for a local in need, or disreputable organizations profiting from the misfortune of others. But I’ve also experienced firsthand the immense joy of human connection and witnessed the magic that occurs when people of different nationalities come together in support of one another. To help you find a volunteer travel trip that gives back, here are three volunteer experiences by adventure travel providers that I trust and respect. This July, Elevate is partnering with the Edem Foundation – a non-profit supporting the education of children in Haiti and the development of economic activities in Haiti by working with local communities – to provide a Children and Youth Leadership Workshop. Activities and lessons are informed by the skills of the volunteers and can be anything from kids’ yoga to poetry reading and writing. 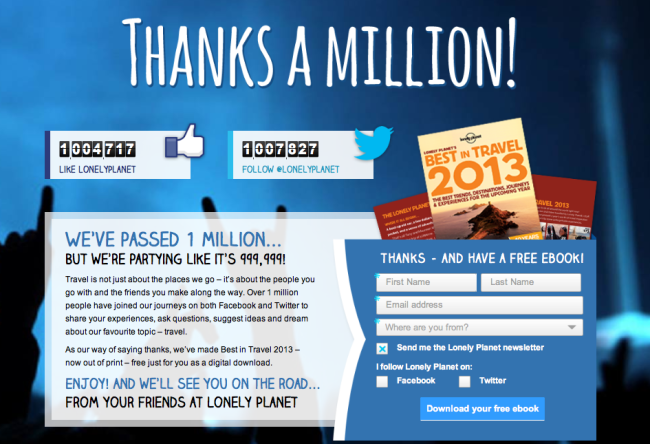 Travel guidebook publisher Lonely Planet reached 1 million fans each on both Twitter and Facebook this week. To celebrate, the publisher has launched its “Thanks a Million” campaign, offering its Best in Travel 2013, the latest edition of the annual series that highlights the hottest travel destinations and trends for the year, as an eBook for free. To download, visit http://www.lonelyplanet.com/campaigns/one-million. It is available until March 31st, 2013 either as a PDF or as an iBooks-compatible ebook for the iPad/iPhone.